War is approaching. A better war. A faster war. 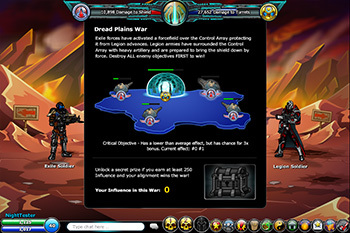 A war that more fully captures to epic clash of Legion and Exile forces. Though this new war was not quite ready to be unveiled today, we're still hard at work and hope to have a finished feature ready to go early next week. This Design Note post will reveal some new and exciting elements from the new war system. Before we get into the meat of the post, I'll briefly mention the absense of Legion and Doom from the server select. Today we did a small update to patch some exploits and improve server security. Due to recent erratic behavior, Legion and Doom were taken offline. 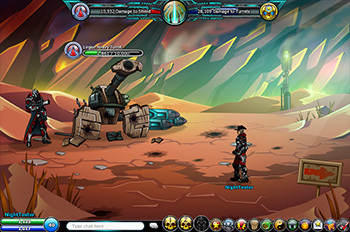 We do not yet know if we will bring them back, but we do know that those servers were old and underperforming. Epic and Exile (we should probably change their names now, huh?) will soon be upgraded to faster, more modern servers to improve performance, making additional servers unnecessary for the time being. With the new war system, we wanted to emphasize accessibility. The current war has a lot of moving parts and can be quite difficult to grasp for a novice just learning the basics of dueling. 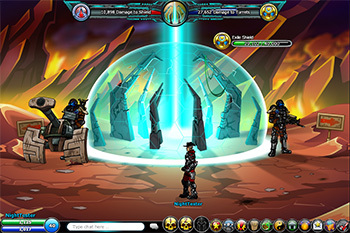 Under the new system, the active war will be represented by a global war bar. 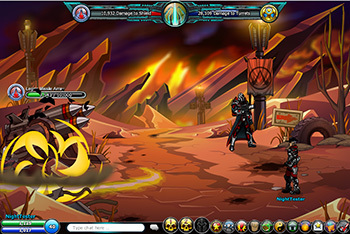 This war bar provides general information about the conflict and quick-jump buttons to the main objectives. 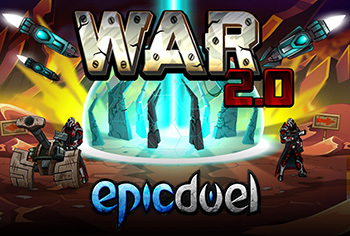 Some war objectives may be familiar with a few key changes -- you'll notice the Control Array now has a shield over it. It's up to the alignment on offense to bring down the shield and capture the Array, while the defenders must stop the aggressors at all costs! To defend or attack, Legion and Exile warriors will receive PvP war drops. Defenders will receive Dread Bombs while the attackers will receive Dread Shells. These drops can be used at objectives to gain influence for yourself, your Faction, and your alignment. This is also the primary mechanism for driving the war. To discourage hoarding, you will only be able to hold a maximum of 10 of each type of war drop in your inventory. If you choose not to participate in the war, you will be able to sell the drops with no sellback. 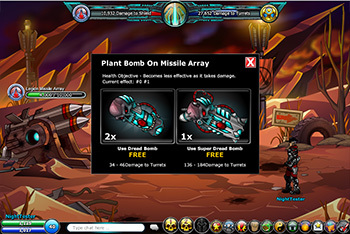 War drops can be used at war objectives, which will be scattered throughout the active region. Clicking a war objective brings up a menu to use your war drops. 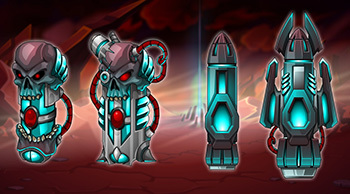 You can use your drops for free, or upgrade them to a more powerful form for Varium. The more powerful drops can also drop from PvP battles, but at a much lower rate. The objectives will show realtime destruction as they are used and abused by warring alignments. Small notifications will appear to broadcast your feats of valor for all to see! Each objective has a different attribute -- providing interesting tactical decisions for either side of the conflict. 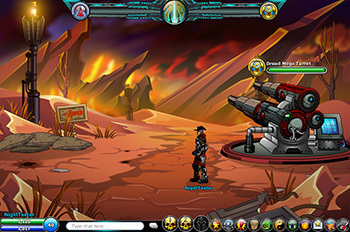 Defend your objectives or see them burnt to the ground! 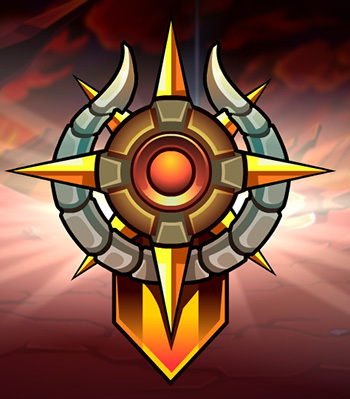 When the war ends, the winning alignment, along with the most victorious player and Faction will be displayed prominently throughout the region! With the changes to the war system, we'll be consolidating the existing regional influence-buffing cores into a sole War Commander core. This new limited-charge core will give 10 guaranteed war drops for battle victories. This core will be available from prominent Legion and Exile NPCs in active war regions. Since some are already very close to attaining the 10th tier of certain regional war achievements, we've decided to bump up the difficulty with 2 more tiers for each region. 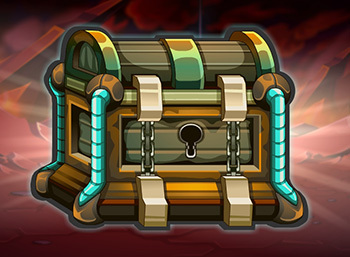 We're even planning a super-special acheivement for reaching tier 12 on ALL regions, including Frysteland and the Infernal Mines (coming soon)! During the war, you'll also have a change to earn the prestigious War Hero achievement by earning the most influence in a single day! 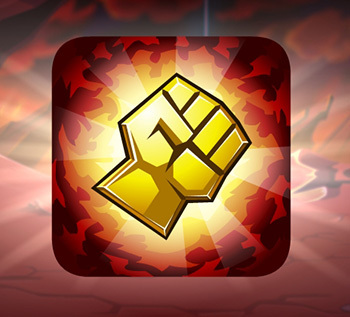 Winng a war is an incredible task, so the victors should receive equally incredible rewards! 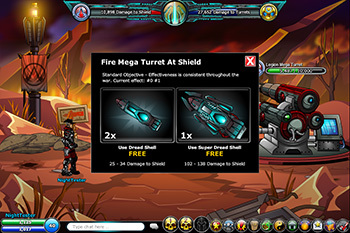 Never-before-seen weapons, armors, vehicles and amazing currency bonuses await those who triumph! If you're the picky type, you'll have a list of 6 items to choose from when claiming your reward. The prizes will rotate between war events so the list will be ever-changing and always interesting! Expect an early release next week while we iron out the last of the bugs and polish the remaining features of our new war system! Thank you for your patience! We're confident the feature will be worth the wait! Last but not least, remember to check out the seasonal rare Springtime gear, available at Naomi and Xraal! 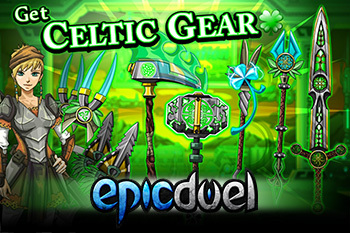 Grab this awesome gear before it disappears back into the database aether for another year!